A caravanning holiday offers you total control over your well earned time off. You decide when you get up, when you eat, where you go and what you do when you get there. Looking for your perfect caravan can be as exciting as looking for your perfect house. 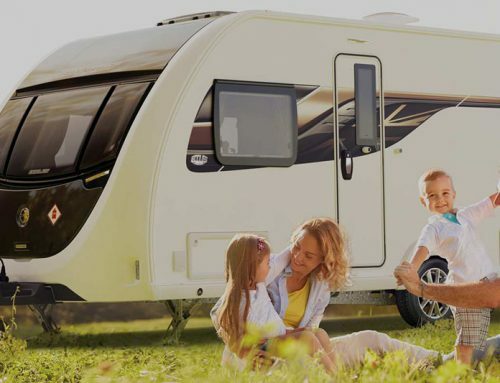 Your caravan will be your home away from home on every journey you take, providing you with all the comforts you are used to whilst allowing you the freedom to get away and put all the worries of daily life to the back of your mind. The type of caravan you choose depends completely on your individual needs. The conventional, single axle caravan is the popular choice for most, but there are many different options open to you from a 2 berth to a twin axle, family 6 berth. There are also a number of different ways you can buy your caravan – from a dealer, online or at a show. We fully recommend buying from a reputable, local dealer which offer a good warranty to safeguard your new purchase from any unsuspected remedial costs. We fully recommend buying locally as this will give you a much better overall experience and cut out a lot of time, cost and hassle, often associated with long distance warranty and servicing issues. Why not take a look at our website, as there are many hand-picked, quality new and used caravans to choose from, so whatever you’re looking for, you’re bound to find something to suit. Don’t forget your caravan porches and awnings – they are a great source of space and there are loads of different types to choose from. Finding your ideal caravan site depends on what you are hoping to get out of your holiday. Caravan sites vary in both size and facilities and offer many different features. Nearly all will have mod cons such as hook up, Wi-Fi and battery charging facilities, but the style and location of the caravan site is up to you. You may want to relax at a peaceful caravan site near a Loch in Scotland, or stay at a site that is on the doorstep of some of the most stunning scenery and walks in the Lake District. Some caravan sites are larger and may have a swimming pool, laundry facilities, a TV room or recreation hall. Others are smaller, quieter and have fewer facilities. This type of caravan site would suit you if you are looking for a more secluded holiday, or if you plan on spending little time in your caravan, returning only to sleep after a long day out sightseeing. We recommend joining one of the industries major caravan and motorhome clubs, as these offer a directory with a wide variety of sites up and down the country. Indeed, into Europe too. From here you can gain a valuable insight to the kind of site you are looking for with details of facilities, local interests, tariffs etc. After deciding on a particular location and site, it is well worth getting things moving by booking the site. Many popular sites get booked up early, (some up to twelve months in advance), so by booking quickly gives you the best chance of securing the site of your choice. Leaving it late can often lead to you accepting a second or third choice location. Remember, this is your leisure time, so getting what you want and where you want, makes a big difference to your holiday experiences. 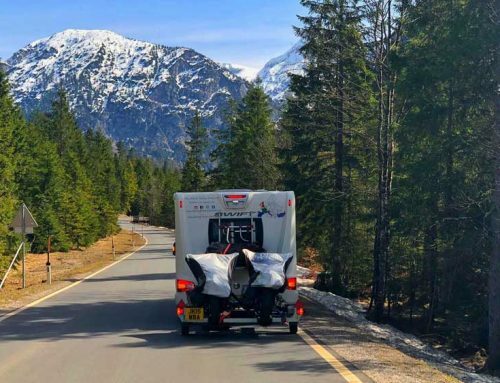 Once you know when and where you are going for your next holiday, it’s well worth considering getting the caravan or leisure vehicle ready in advance. Getting your vehicle out of storage, recommissioning and even serviced can sometimes take longer than you think. Especially as the season unfolds and we all get towards peak times. So doing it early makes sense. It’s wise to think about booking in your vehicle for a professional service and check over so that it will help to eliminate any niggling problems that may have occurred over the winter period and could crop up whilst on holiday. This will make your time away more enjoyable and memorable. Nobody wants a leaking tap or faulty pump when away. Preparing for the new season – Spring into action!